A few inexpensive smart plugs might not turn your home into any of the homes you dreamed of while watching The Jetsons, but it will be close. Smart plugs and outlets give you voice control, remote access, and the ability to program schedules for your everyday appliances. Check out our favorite smart plugs below. Size 2.61 x 1.49 x 1.57 in. 3.8 x 1.4 x 2.4 in. 2.9 x 2.9 x 2.3 in. 2.61 x 1.49 x 1.57 in. 3.8 x 1.4 x 2.4 in. 2.9 x 2.9 x 2.3 in. *Standard MSRP. Prices may vary by retailer. **Often available at a lower price. Size: 2.61 x 1.49 x 1.57 in. TP Link’s Kasa Smart Wi-Fi Plug Mini is the most practical smart plug available. It’s inexpensive enough that you could get one for every room in your house without dipping into your vacation fund. 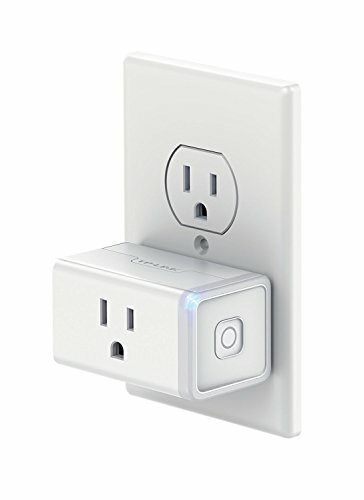 And it’s small enough to either stack two on one outlet or leave the second outlet free for appliances that don’t need smart control. And while it doesn’t have Apple HomeKit or IFTTT support, the Kasa works with Amazon Alexa, Google Assistant, Microsoft Cortana, and mobile apps—that’s probably enough integration for most people. 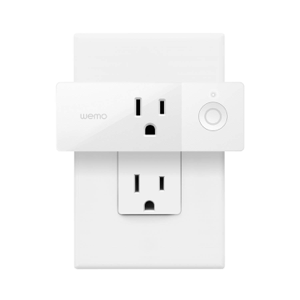 We also like the grouping feature, which lets you control multiple smart plugs at once. Want to turn on all the smart plugs in your basement? Group them together and you’re set. Size: 3.8 x 1.4 x 2.4 in. 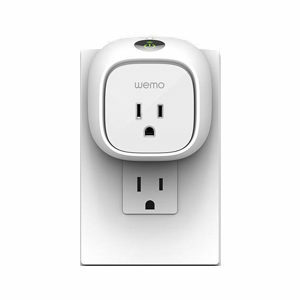 Wemo’s Mini Smart Plug was a strong contender for first place. It’s affordable, small, and compatible with most everything (including Apple HomeKit, IFTTT, Alexa, Google Home, and Nest. It lost out to Kasa’s smart plug because of its slightly higher price and complaints about the app and setup. But it’s still an excellent plug-in smart outlet that will quickly give you remote control over your appliances. Size: 2.9 x 2.9 x 2.3 in. 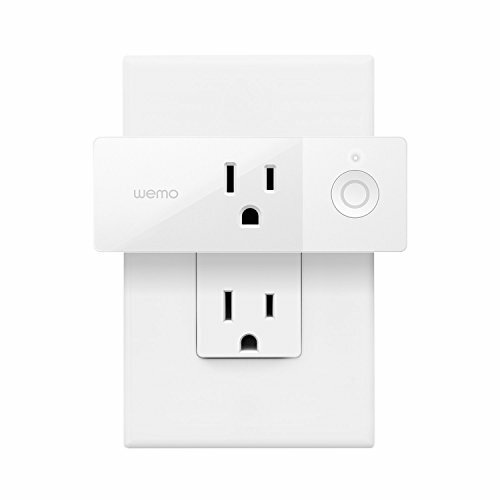 The larger Wemo Insight Smart Plug gives you most of the same benefits as the Wemo Mini—like app control, scheduling, and compatibility. The Insight adds energy tracking so you can keep a close eye on how much power certain appliances use and how often they’re being used. On the down side, the Insight costs a bit more than some of our other picks, and its larger size could block other outlets. But if you’re looking for a smart outlet that helps you track energy consumption, it’s a great pick. A plug-in smart outlet can handle most situations, but if you need something more specific, consider our picks for the best outdoor smart plug and the best in-wall smart outlet. Size: 1.9 x 2.8 x 6 in. This weatherproof smart plug includes energy-tracking voice control, scheduling, and more. It’s got two outlets so you can control two things in sync. Plus, it’s compatible with Apple HomeKit, Amazon Alexa, Google Assistant, and IFTTT. 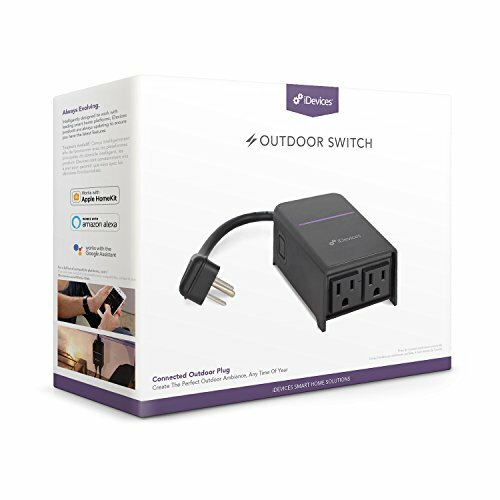 If you need a weatherproof smart outlet to control your holiday lights or other outdoor appliances, this is a fantastic option. Size: 4.1 x 1.7 x 1.6 in. 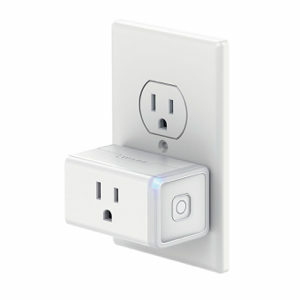 Insteon’s On/Off smart outlet is powerful and sleek. In fact, it’s incredibly well reviewed by customers and offers more capabilities than most of the smart plugs listed above. So why isn’t it higher on the list? Because it’s harder to install, more expensive, and requires a pricey hub for features like voice control. That said, it’s worth a bit of hassle and investment. 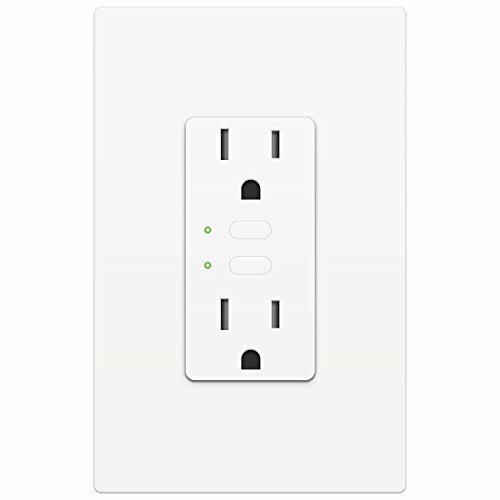 You can permanently add value to your home, install outlets that are flush with the wall, and control two devices independently when they’re plugged into the same wall outlet. 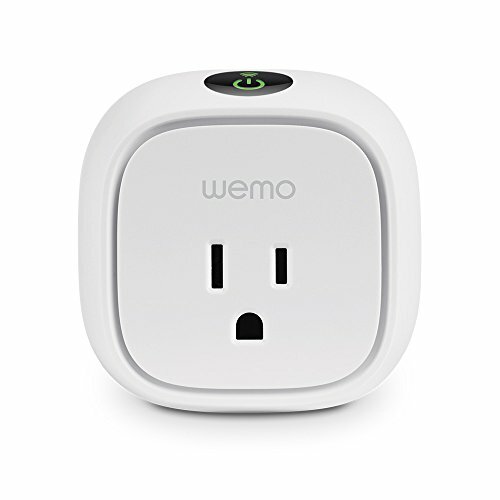 Plus, it’s the only smart outlet on this list that is dual band (meaning you can set it up with either 2.4GHz or 5GHz Wi-Fi). If you’re willing to spend a bit more and permanently install a new outlet, it’s worth the trouble. Especially if you have other Insteon devices that will sync with the same hub. We prefer plug-in smart outlets because they’re so much easier to set up and move around—handy if you want a smart slow cooker one day and a smart bedroom lamp a few days later. The Kasa Smart Wi-Fi Plug Mini isn’t the fanciest option on the market, but with its easy voice control, remote app access, and a low price, we think it’s the best value for most people—especially if you’d like to get a few. Interested in other smart home products? Check out our top picks for other home automation devices.